Mark Hanham was born in Sydney in 1978, Mark Hanham studied at National Art School then completed a Master’s Degree in Art at the College of Fine Art. 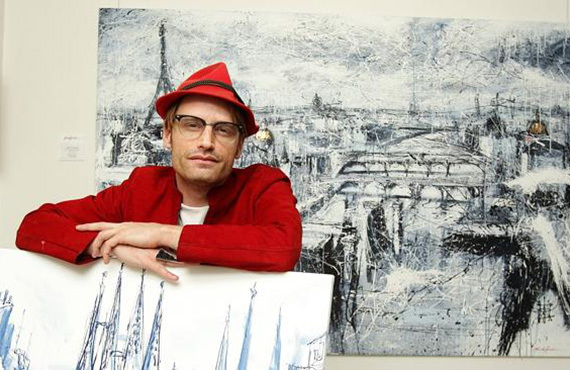 He has painted every day since he was fourteen years of age and is an extraordinarily successful commercial artist. His bold expressive landscapes of iconic urban centres – Sydney, Paris, New York, London, Venice and Tokyo, are unique and are total show stoppers. His point of difference is scale and energy but all counterpoised with romanticism, hope and a commentary on the human condition.